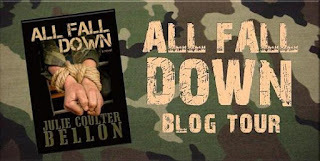 Julie Coulter Bellon is the author of seven international suspense novels: Through Love's Trials, On the Edge, Time Will Tell, All's Fair, Dangerous Connections, Ribbon of Darkness and All Fall Down. She loves her work partly because she gets to travel to distant lands to research and add an authentic feel to all of her books. Her favorite cities so far are Athens, Paris, Ottawa, and London. 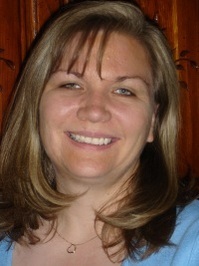 She taught journalism at BYU for fourteen years and that kept her on the cutting edge of current events and world news---which is where she gets her story ideas. She also has one non-fiction title: Be Prepared: A Parent's Guide to the Duty to God and Eagle Scout Awards---What You Should Know and is part of two compilations, How Will Christmas Find Us and Life Lessons From Mothers of Faith. She is the mother of eight children and when she's not busy being a mom or a writer, you will find her browsing through bookstores to add to her book collection, at the library borrowing books, or reading the treasures she's found. What is the 'story behind the story' of All Fall Down? I was watching the Discovery Channel one night and it was on SEAL Team Six and what they went through to penetrate the compound in Pakistan where Osama bin Laden had been hiding. They talked about the computers they confiscated and how those files were turned over to the Department of Defense for decrypting. My mind started turning because my husband used to work for a computer forensics company and I thought, what if the DoD couldn’t decrypt one of those files that would have important information on it that people would kill to have? And what if they gave it to a civilian company and al-Qaeda got wind of it? And the story went from there. What research did you have to do to write the story? I had to do a lot of research on SEALs, Afghanistan, DoD, next-gen weaponry, hostage negotiation teams you name it. I got to meet and talk with a lot of great people that helped me make it as realistic as possible, though, and I’m grateful for their patience with all my questions! What's your favorite thing about writing? Least favorite? My favorite thing is holding the book in my hands. There is something so satisfying to telling a story that other people can read. My least favorite thing is having a story in my head that I really want to write down, but not having enough computer time to get to it. Eventually I always do, but if I had one wish it would be for an extra bit of computer time each day. Where would you love to travel if you could go anywhere? I would love to visit Australia. The Man From Snowy River was always one of my favorite movies and I’d love to see some of that country. Do you have a particular process for when you write? A favorite place to write? My process is to write down everything I’ve been thinking of all day each scene and piece of dialogue. When time is limited, you do what you have to do. My desk is right between my family and kitchen so while it may not be my favorite place, I can always stay in the thick of family things while I’m writing. Not many writers can be stirring dinner and writing at the same time! Whoa. What a ride! If you decide to read this be prepared to have a hard time putting it down. I found the book action-packed and full of interesting characters. Rafe and Claire make for a great pair. While I would have liked more character development, I did really enjoy the book. The focus is on the action which starts in chapter one when Rafe is taken hostage by his friend Gary who has been forced to do so. 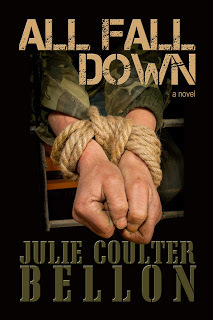 Claire steps in as hostage negotiator and before she realizes it finds herself neck deep in a fight for not only her own life but the lives of others she cares about. I recommend this book to those who enjoy romantic suspense with lots of action.